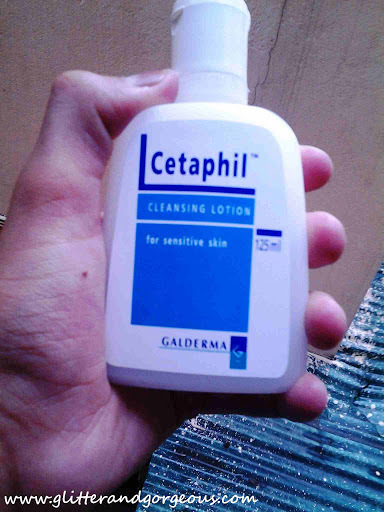 Cetaphil Cleansing Lotion Review! - Glitter & Gorgeous!! Hi girls! I am Arpita again 🙂 This is my entry for the Glitter and Gorgeous giveaway! This review is about a very very special product that I love a lot. 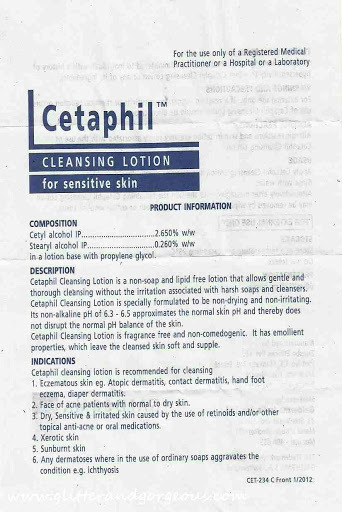 Ingredients- Cetyl Alcohol IP, Preservatives, Methyl Hydroxybenzoate IP, Butyl Hydroxybenzoate- in a lotion base with Propelene Glycol. 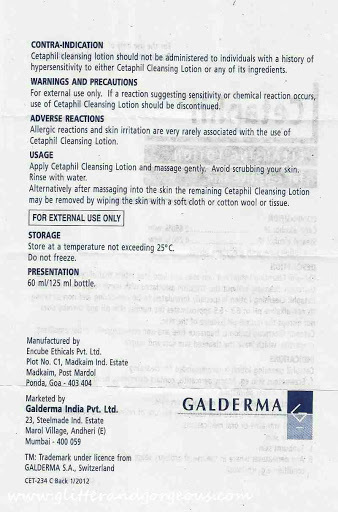 Directions- Apply on moist skin n massage. Rinse off with water or tissue. Store at a temperature not exceeding 25 degrees C; do not freeze. Keep the container tightly closed after use. Price- Rs. 136 for 125 ml. I love this face wash. 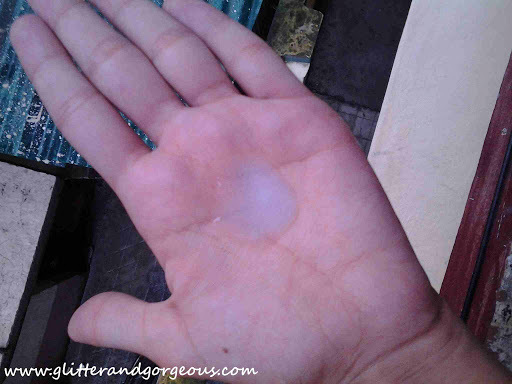 I have been using it since 8-9 months now and this has really helped me to clear up my acne as it is really non drying and moisturizing and it is made up of mild and skin friendly ingredients. Though it does nothing for scars, it does not claim to do so even. The price is also not very high and the results are too good with continuous use. I have no more words to describe this wonder product. 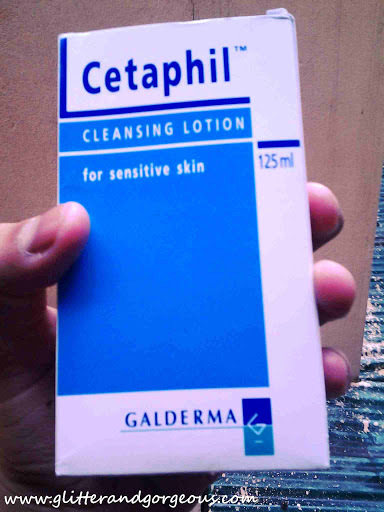 It was my only companion along with a topical gel during acne period.